Adam Herold was an outstanding athlete who was mature beyond his years. After a successful season as captain of the Midget AAA Regina Pat Canadians, Adam was called up by the Western Hockey League’s Prince Albert Raiders to join the team during their playoff run. At the same time, the Saskatchewan Junior Hockey League’s Humboldt Broncos called and Adam juggled his time playing for both Prince Albert and Humboldt. On April 6, 2018, the Humboldt Broncos’ bus was involved in a major accident on the way to a playoff game in Nipawin. Tragically, the accident took the lives of 16 members of the Humboldt Broncos organization, including Adam Herold. He died just six days before his 17th birthday. Thanks to his natural talent, hard work, and family support, Adam experienced many opportunities in his short life. Not all young promising leaders have the same advantages. 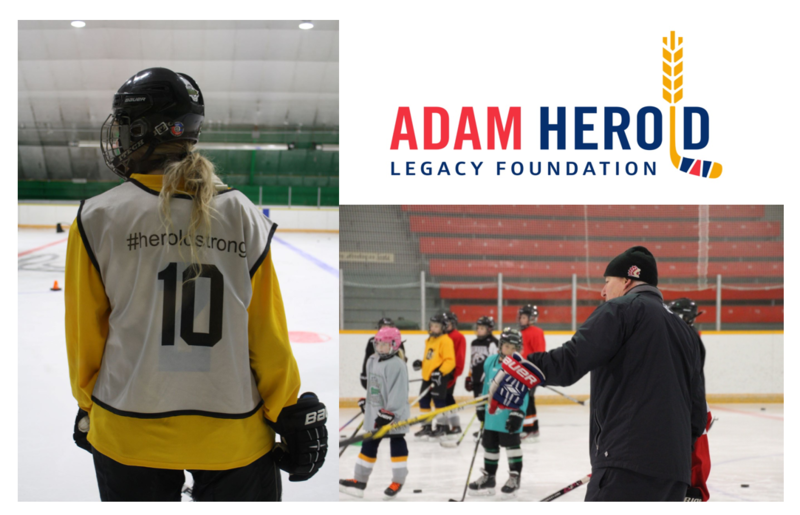 The Adam Herold Legacy Foundation was established to provide opportunities to Saskatchewan youth in rural communities to develop and refine not only their hockey skills but also their leadership potential. The Foundation’s Hockey and Leadership Development Program will provide top trainers for skill development, physical and mental training, coaching development and ongoing support for hockey programs in target communities, as well as scholarships. Our program brings in top resources with the expectation that your community will provide the economic support it can afford, versus the full cost of the program, with the remainder being subsidized by the Foundation. The intent of the program is to provide the services in a cost-effective manner, respecting the resources of your community. Our experience is people can be creative when raising funds to benefit their community. They can fundraise from local businesses or raise money from community members. If our program only has to subsidize a small portion of the costs, we will have the ability to have a more significant impact on Saskatchewan youth by offering the program more broadly. As community organizers for the Leadership and Hockey Development Program, we ask that your community provide the services, resources, and facilities as indicated on the checklist enclosed with this package. Please let us know if you are unable to provide any of the items on the list. The application form can be found here. If you have any questions please contact erin@heroldstrong.ca. The Hockey and Leadership Development Program events will be held over two weekends- one in the fall (October/November) and the other in the second half of the season, between January and March. Our program brings in top resources with the expectation that your community will provide the economic support it can afford, versus the full cost of the program, with the remainder being subsidized from the resources of the Foundation. The intent of the program is to provide the services in a cost-effective manner, respecting the resources of your community. There will be two communities chosen for the 2019-20 hockey season. The deadline for application is March 31st. A minimum of 60 participants to a maximum of 90. The participants of the Hockey Development Program must be registered in a minor hockey association. All participants will be asked to complete community volunteer hours as explained during the events of the weekend. A table at the rink for Foundation apparel sales.